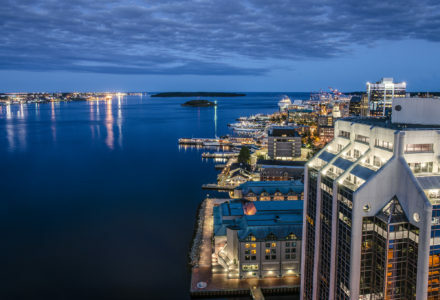 Halifax looks forward to welcoming IMG and attendees of the 2019 Strategic Alliance Meeting, August 6 – 9, 2019 at the beautiful Halifax Marriott Harbourfront Hotel! 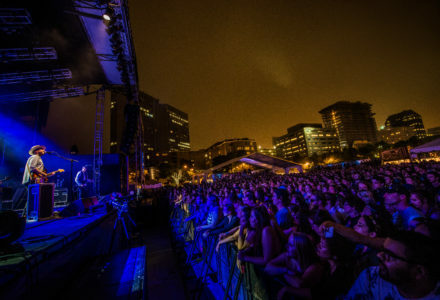 Halifax is the authentic East Coast experience. Here you can satisfy your taste for adventure, entertainment and cuisine. 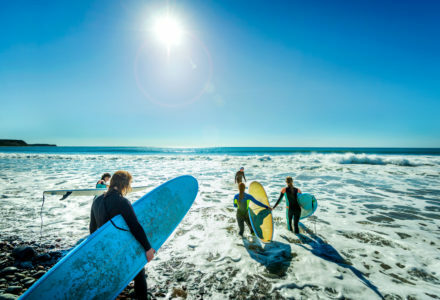 Enjoy exploring the historic downtown or take in the iconic coastline of the Halifax region . 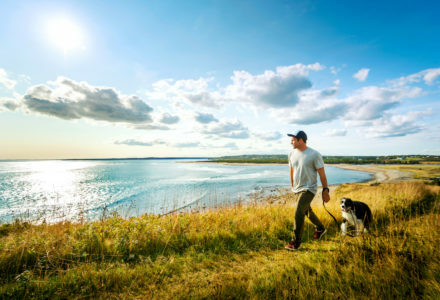 . . from the natural beauty of Peggy’s Cove to the pristine beaches of the Eastern Shore. Ambassatours Gray Line has offered a transfer service to and from the Halifax Stanfield International Airport and the host hotel. 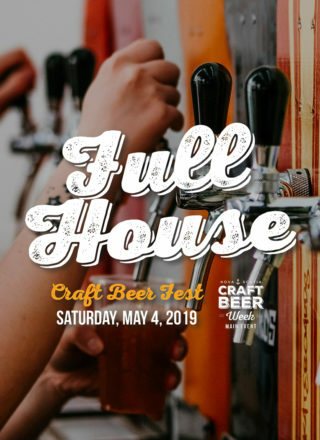 Check out further details and schedule here. 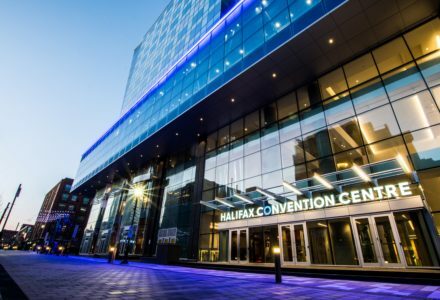 The 2019 SAM will be held at the Halifax Marriott Harbourfront Hotel. 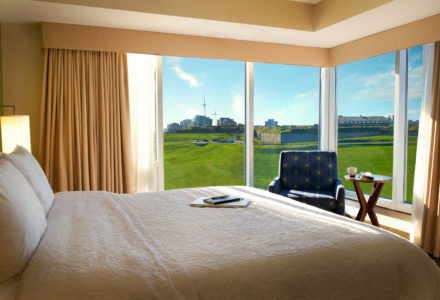 With a prime waterfront location providing direct access to the Halifax boardwalk, the Halifax Marriott Harbourfront offers you a truly exceptional experience. 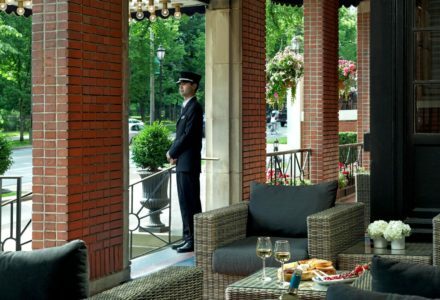 Settle into modern guest rooms and suites and prepare for a truly exceptional hotel experience. 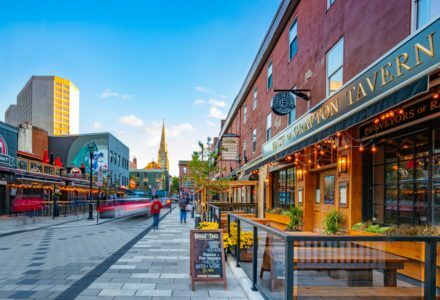 Explore downtown Halifax’s dynamic attractions, many of which are located within walking distance. 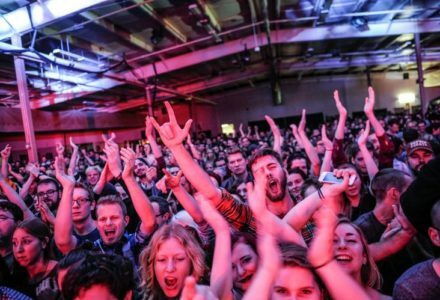 Here are 10 Things You Have to Experience in Halifax! Stroll along the Waterfront Boardwalk, one of the world’s longest downtown boardwalks. 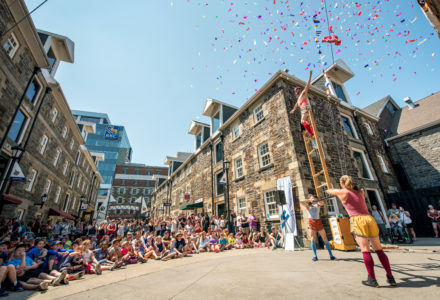 Surrounded by sparkling ocean and a working port, the Halifax waterfront is a bustling seaside playground filled with shops, restaurants, attractions and unique art installations. 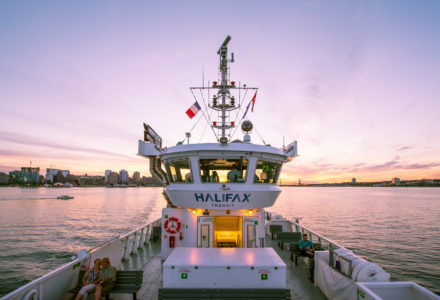 Ride the Alderney Ferry from Downtown Halifax to Dartmouth. 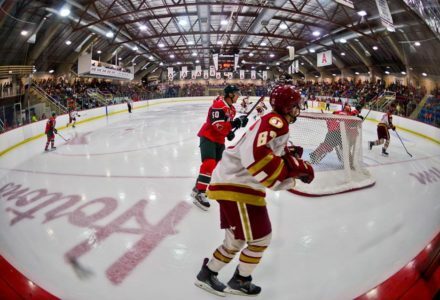 While in Dartmouth, grab a coffee or dine in one of the many great restaurants and cafes. The Harbour Ferry is the oldest, continuous, salt-water passenger ferry service in North America. 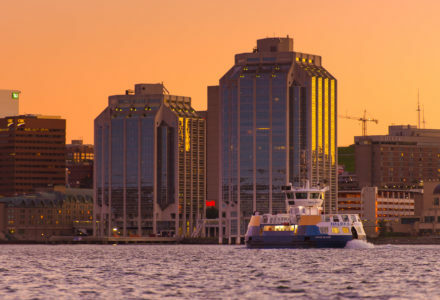 The Dartmouth waterfront also happens to be one of the top 10 places to watch the sunset in Halifax. 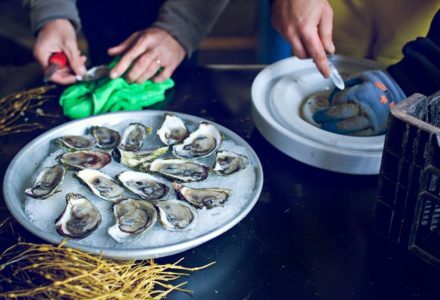 Feast on the freshest of seafood . 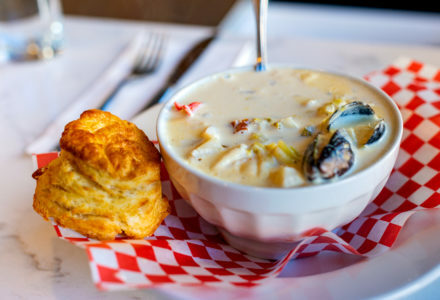 . . whether it’s authentic Maritime Fish n’ Chips, Digby Scallops, Atlantic Salmon or a classic lobster dinner you crave – Halifax is filled with hundreds of fabulous restaurants serving up your favorites! 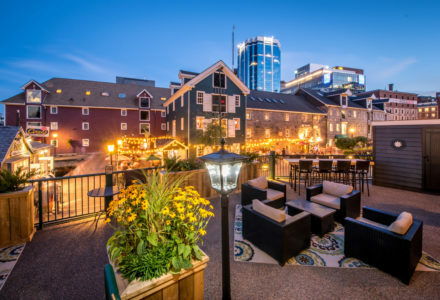 Get to know Halifax through our signature attractions – the Canadian Museum of Immigration at Pier 21, the Halifax Citadel National Historic Site, and the Maritime Museum of the Atlantic are absolute “musts” on any Halifax itinerary! Enjoy the evolving blooms of the Halifax Public Gardens, one of the finest surviving Victorian-style gardens in North America. Grab a coffee or a treat at Uncommon Grounds and stroll along the flower-lined paths of this 16-acre oasis in the middle of the city. Looking to do some shopping? 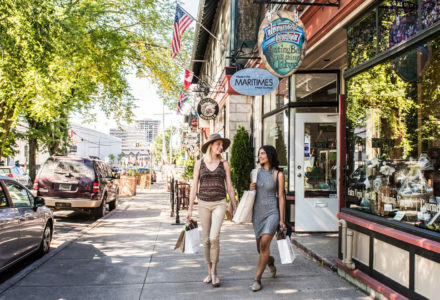 Browse the colourful vintage clothing stores on Queen Street, pick up a souvenir at one of the many shops on Spring Garden Road, or head over to one of the city’s major shopping destinations such as Halifax Shopping Centre, MicMac Mall or Dartmouth Crossing. 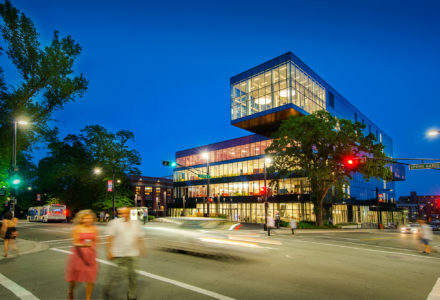 Check out the Halifax Central Library on Spring Garden Road. 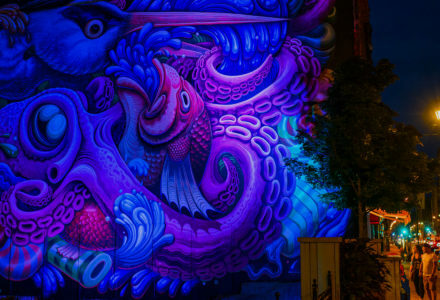 This cultural hub has received many accolades including winning the national 2016 Governor General Architecture Medal. 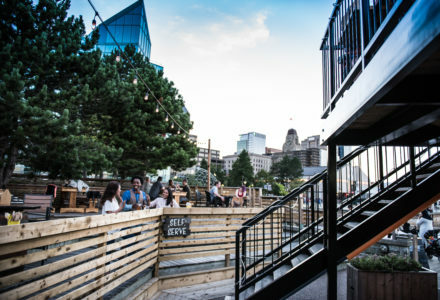 Pop up to the 5th floor where you can enjoy a coffee and soak up the views from the Rooftop Patio and “Halifax’s Living Room”. 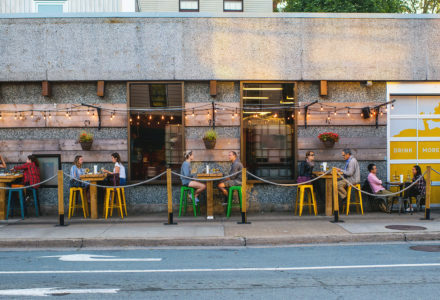 Check out one of the most “Instagrammable” places in Halifax . . . the Peggy’s Cove Lighthouse and surrounding area have become iconic Canadian images, and one of the most photographed lighthouses in Canada. 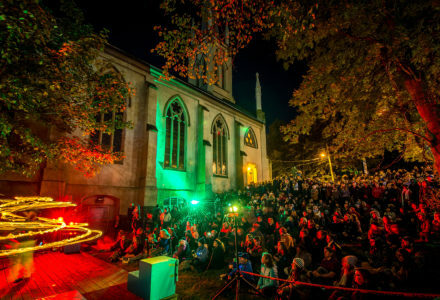 Spend an evening at one of Halifax’s local favourite live music venues and enjoy a real Nova Scotian Ceilidh or party! Have a Donair (Halifax’s official food) . . . a Donair is a sweet and spicy treat, and a uniquely Nova Scotian delicacy (that’s usually enjoyed late-night!). 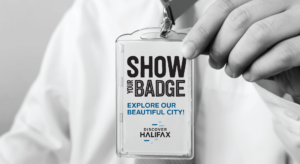 View the full e-reader version of the 2019 Halifax Highlights Visitor Guide. 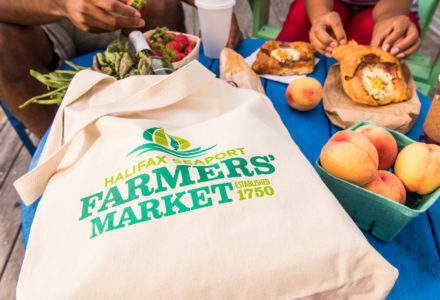 Once you have arrived in our region, hard copy versions of the guide can also be obtained at the Visitor Information Centre on the Halifax waterfront boardwalk where friendly, knowledgeable staff will be happy to assist you.